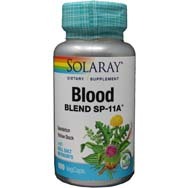 An adaptogen doesn’t have a specific “fix-it” purpose in terms of our bodily health, but like a thermostat, it can read when stressors or environmental influencers have thrown our body out of whack and things need to be reset, or restored, to normalcy. This basically applies to any of our physiological functions, per draxe.com. Let’s talk a “for instance” here. Chronic stress – and we’re talking long-term stress here – can eventually lead to adrenal fatigue, which is characterized by symptoms that might include brain fog, weight gain, extreme fatigue, and insulin resistance; the list goes on. If our bodies were, say, rooms in a house, they would be overheating. It would be up to our “thermostat” to kick start the AC so our “house” can be restored to a comfortable temperature. This is what adaptogens do for us, minus the manmade mechanics and electronic sensors. 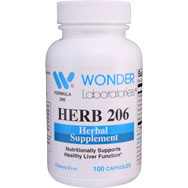 The term “adaptogen” was the 1947 creation of Russian toxicologist/pharmacologist Dr. Nikolai Vasilyevich, who described these healing herbs as “agents which help an organism to counteract any adverse effects of a physical, chemical, or biological stressor by generating nonspecific resistance,” per wellnessrepair.com. The use of adaptogens dates to ancient Traditional Chinese and Ayurvedic medicine practices, the goal being to induce a sense of well-being in patients, such as those dealing with issues related to stress and anxiety. At work, adaptogens repair our adrenal system so it can resume operating at peak efficiency in managing our body’s hormonal response to stress. Dr. Aviva Romm, a Yale-trained physician and author of Botanical Medicine for Women’s Health, refers to adaptogens as the “kings and queens” of herbal medicine for their role in revitalizing our health in such areas as vitality, immunity, and stamina, while also bolstering our longevity. One of the many noteworthy aspects of licorice root is that the root itself can be chewed and consumed without need for our grimacing – it has a pleasantly sweet flavor. Most people familiar with licorice know it as a candy, often found in the form of long, twisted strands regarded as the black-colored counterpart to the red, twisted, strawberry- or cherry-tasting strands branded as Twizzlers. 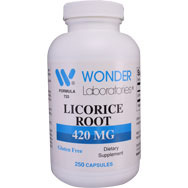 Licorice can also be consumed as a tea, in powdered form, or even raw. 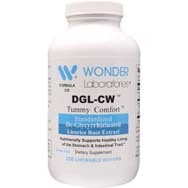 There’s also a form of licorice known as “DGL,” in which the glycyrrhizin is removed, with DGL being shown by at least one study as capable of suppressing a particular form of toxic bacteria, H. pylori, that has been linked to conditions such as peptic ulcer disease, heartburn, and gastritis, per healthline.com. Licorice’s health benefits are significant and widely varied, and worth a deeper dive in this space. One important note of caution, though: any form of licorice root should be consumed, or “taken,” judiciously – not for extended periods of time. Otherwise, it can be too much of a good thing, with long-term or otherwise excessive consumption possibly leading to health problems. Soothes the stomach. 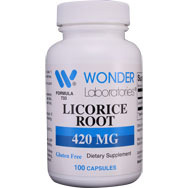 Per healthline.com, licorice root can accelerate the repair and recovery of the stomach lining for sufferers of food poisoning, stomach ulcers, and heartburn. This is because licorice root contains glycyrrhizic acid, which possesses anti-inflammatory and immune-enhancing properties. Helps respiratory system. How? By cleaning it out, making it easier for us to breathe. It does this by producing what's known as healthy mucus, or phlegm, per healthline.com. Huh? More mucus is an impediment, not a solution, right? Wrong, in this case. The "manufacture" of clean, healthy phlegm keeps our respiratory system functioning effciently without the old, yucky, sticky mucus hanging around to clog things up. Reduces stress. 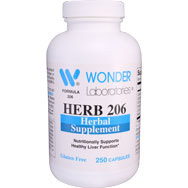 Licorice root extract can act as a sort of catalyst for the adrenal gland, regulating the level of cortisol in the body. The “thermostat” analogy becomes relevant again. Just so you know, cortisol is the main steroid hormone involved in stress and the body’s “fight or flight” response to a perceived threat – too much of it being released over a sustained period can become debilitating, resulting in chronic stress. Treats skin problems. Individuals suffering from skin conditions such as eczema, rashes, psoriasis, or itchy, dry skin can find relief in licorice-based poultices and salves. Weight loss. 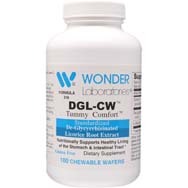 Per naturalalternativeremedy.com, research has shown that subjects given three grams of licorice root extract daily for 60 days showed a significant loss on body fat mass. Keep in mind, though, the earlier warning about sustained use. Following such a regimen is best done under the guidance of a physician or licensed nutritionist, and duration should not exceed two months at a time. Other reported health benefits include alleviating the symptoms of depression; regulating healthy cholesterol levels; treating menopausal symptoms such as exhaustion, mood swings, and hot flashes; reducing menstrual and PMS cramps; and controlling blood-sugar levels.